The Shear Perfection® Garden Snip is an all purpose snip that offers a full range of trimming possibilities, from large projects down to fine tuned detail work on your plants. The titanium coated stainless steel blade will stay sharp during multiple uses and is very easy to clean. 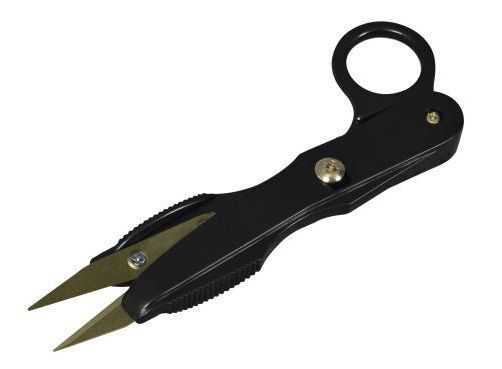 This shear includes a comfort grip handle with spring loaded action for less fatigue on your hands. Storage is simple with an easy-lock mechanism. For right or left handed use. Overall length is 5 in.